Windows 10 thumbnails messed up? By default, Windows automatically creates thumbnails for every documents, videos and images on your PC, which gives you a preview of a folder/file before you open it. 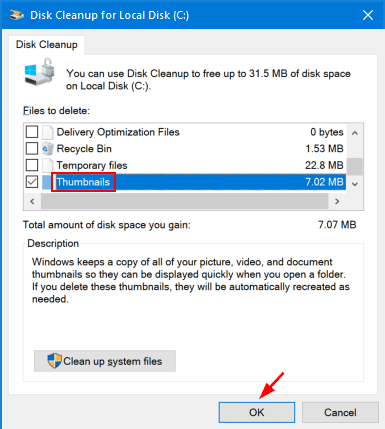 When Windows 10 doesn’t properly display thumbnails or the thumbnails are corrupted, here’s how to clear and rebuild the thumbnail cache in Windows 10. 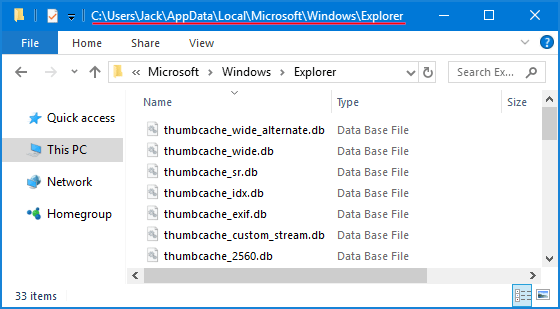 Where does Windows 10 store the thumbnail cache? Here you will see a lot of files like thumbcache_2560.db. If you were to be able to delete them, Windows 10 will automatically re-create new thumbnails when required. Open File Explorer. Right-click on your system partition (C:\) and select Properties from the context menu. 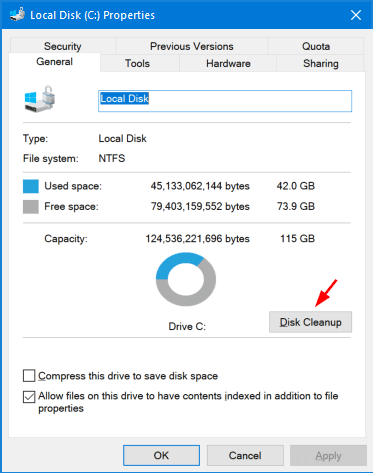 Under the General tab, click the Disk Cleanup button. Locate and check the Thumbnails option, and then click OK to delete / clear the thumbnail cache. Open the Command Prompt as administrator. Before clearing the thumbnail cache, you need to close File Explorer. 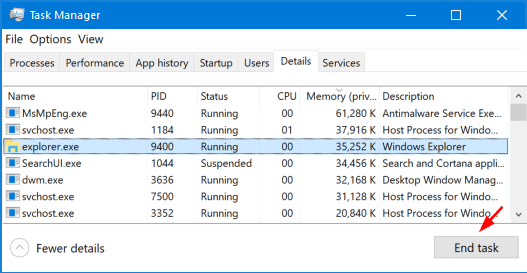 Open Task Manager and switch to the Details tab, right-click on explorer.exe and select End task. Get back to the running Command Prompt. Type the following command and press Enter to delete all the thumbnail cache files. Now you should be able to browse files and folders on your computer with thumbnail images showing up correctly.